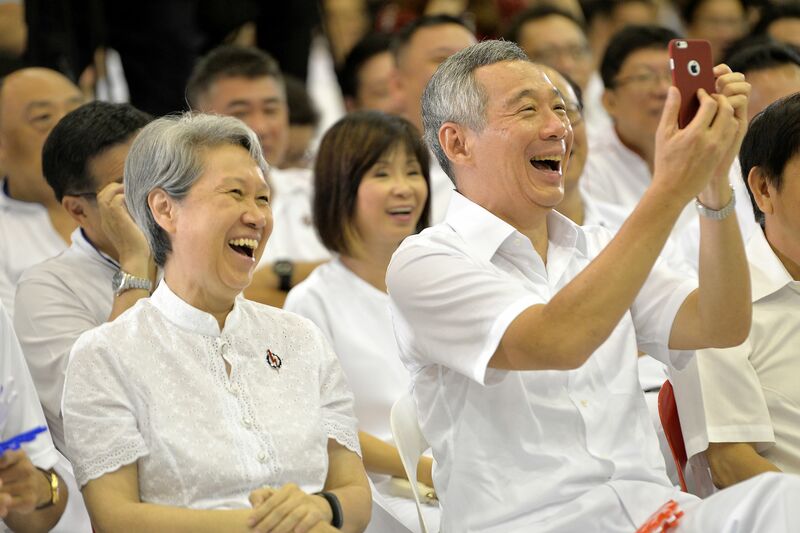 SINGAPORE - Prime Minister Lee Hsien Loong unveiled the People's Action Party's (PAP) manifesto for the coming general election at Infinite Studios at Mediapolis on Saturday (Aug 29). 1. 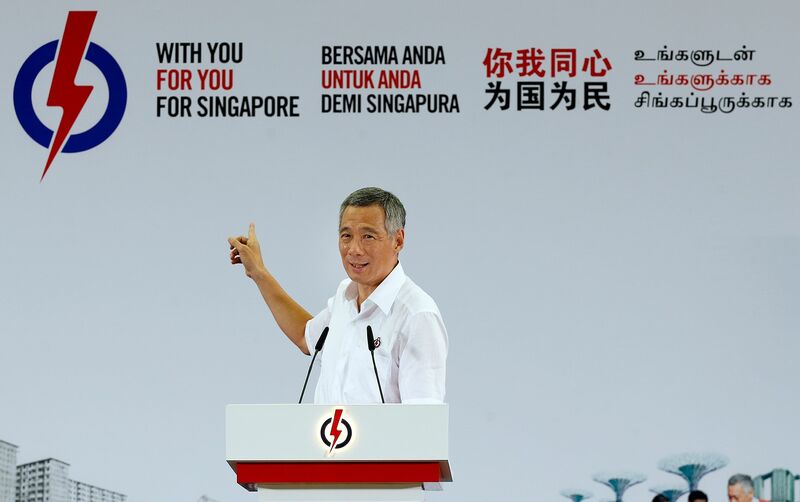 Campaign slogan unveiled: "With you, for you, for Singapore"
This is one slogan you will be hearing a lot of. After unveiling the manifesto, PM Lee ended his speech with: "Convince voters that we will work with you, for you and for Singapore!" In the last election in 2011, the manifesto was titled Securing Our Future Together. Read about the key points of the manifesto here. The deadline for holding the election is January 2017. In his Mandarin speech, PM Lee said: "In this year of Golden Jubilee, we have reached a turning point and entering a new phase of development for Singapore. That's why I thought this was an opportune time to hold a GE." He further elaborated on this in his English speech, speaking on the importance of leadership renewal as Singapore faces a new set of challenges. "We have provided leadership for Singapore, and we have to continue to provide good leadership. No other party is in a position to do that," he said. "That's why I am calling elections now in this SG50 year to seek a fresh and strong mandate." Rallying candidates and activists to win all the constituencies, Mr Lee said in his Malay speech: "This is not masak-masak or main-main." He later added in his English speech: "And at this election there is no by-election effect... This time it's going to be a full slate across the board and some constituencies will be hotly-contested." He made the same point in his Mandarin speech, saying that some people thought the election was about voting in alternative voices, and that by weakening the support for the Government, the Government would do more for the people. "But this cannot be," he said. "Every PAP minister and MP has their strengths and are able to make contributions. If you harm the team, it is to your disadvantage." He made the point by poking fun at himself. "Every year I look at my election poster. They say, 'use the previous ones, you look younger'." Mr Lee also talked about having choosing leaders for the next 15 to 20 years. 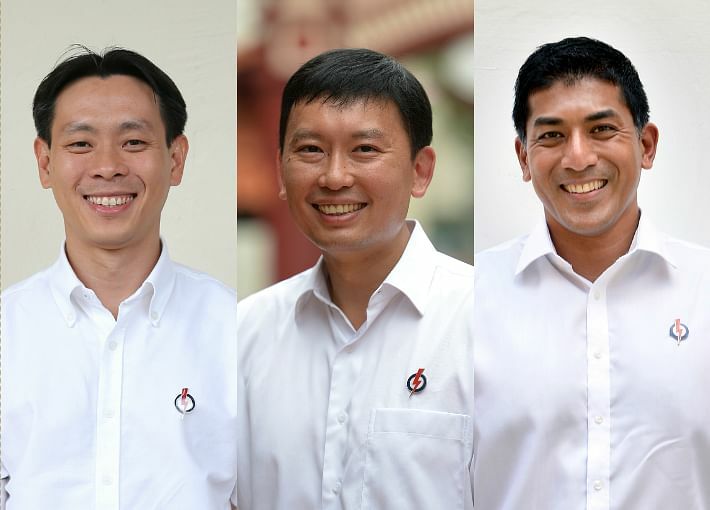 "That's what election is about - to build a good team for Singapore. A team for now, a team for the future." PM thanked 14 MPs who will be retiring to make way for new blood. 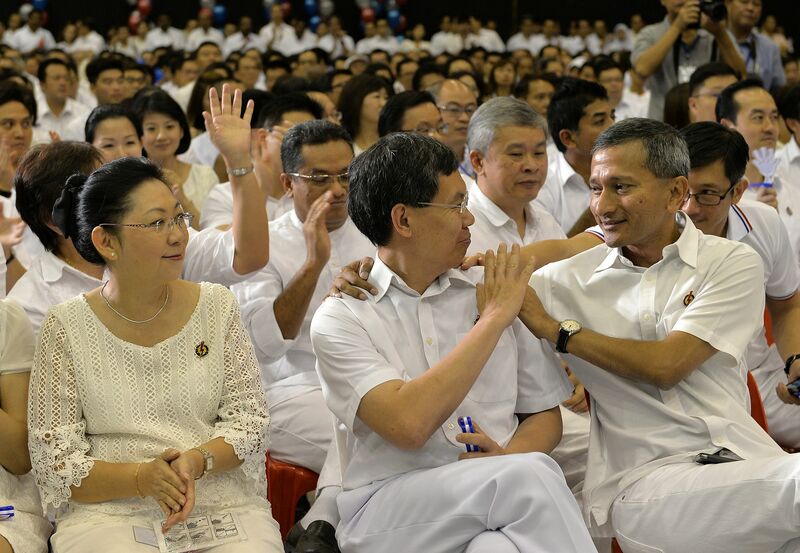 After the "hurly burly is done and the battles lost and won", PAP will hold a big party for the retiring MPs. "Neither of them hesitated for a moment. They said 'where the party needs me, I will serve.'" PM Lee says the party will back up fully its candidates standing in opposition-held wards. "We will hold a rally in the opposition wards and I will go and visit them." (From left) Mr Louis Ng, Mr Chee Hong Tat and Mr Darryl David. PM Lee gave a short description on each of the 24 new candidates, and revealed some little-known facts about them. On animal activist Louis Ng who will be fielded in Nee Soon GRC: "When I first interviewed him, he was so intense I spent 20 minutes getting him to smile." On former top civil servant Chee Hong Tat who is part of the Bishan-Toa Payoh team: "I hear his dialect is not bad so I look forward to his Hokkien speech on stage." And on former game show host Darryl David who will join his Ang Mo Kio team: "I think more of you know him than most of us!" Mr Charles Chong, 62, was one of the candidates who spoke before PM took the stage. He took aim at opposition parties with a play on the orh luak - oyster omelette - analogy that has been tossed about in the campaigning so far: "In this election, besides keeping seats we have, we also want to eat orh luak and orh neng in Aljunied, Hougang and Punggol East, and they will taste even better if the PAP is voted in." Later, when Mr Lee introduced Fengshan SMC candidate Cheryl Chan, he said: "She knows where to get the best laksa in Fengshan and I think she is ready for any opposition parachutists who will be there whether they are male or female."